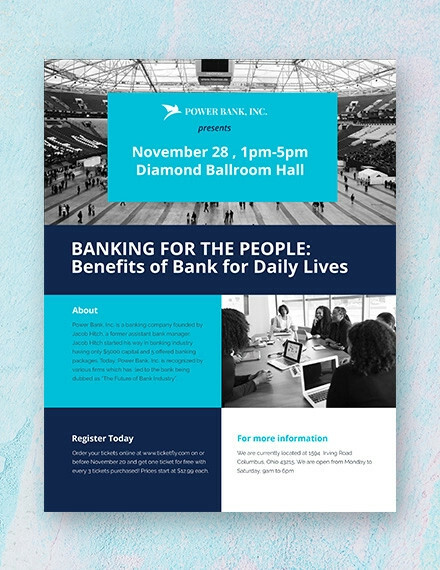 When it comes to event or product marketing, the power of brilliantly designed flyer can’t be underrated. 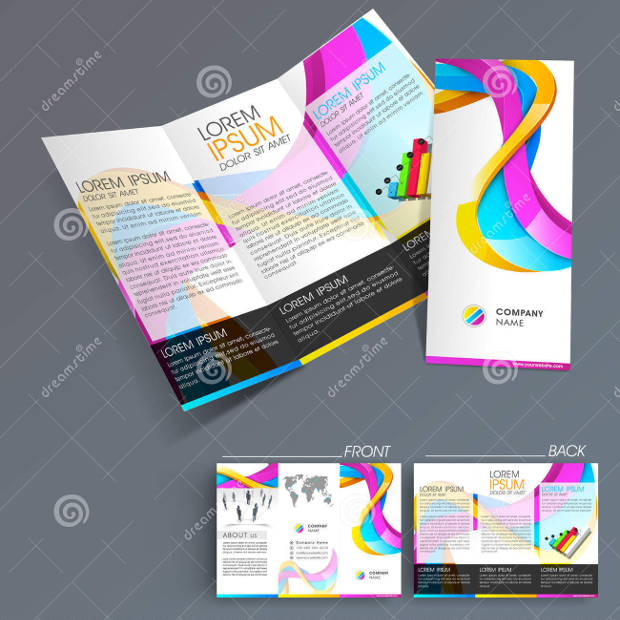 While the flyer’s artwork and printings are significant elements for its effectiveness, the flyer’s general layout needs to be professional. With the appropriate professional flyers, you shouldn’t find this task difficult. 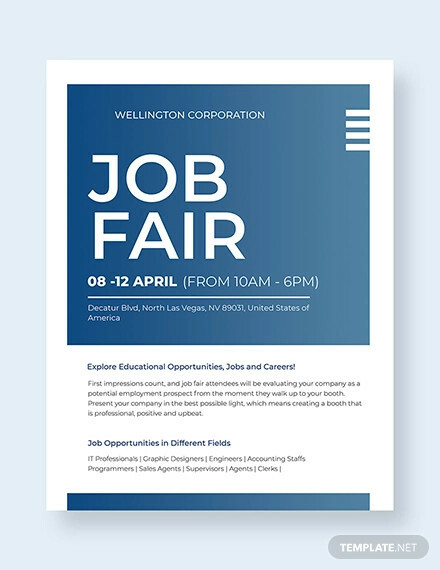 Today, we share with you a collection of some of the top flyer designs with a professional look, which we hope will help you much. 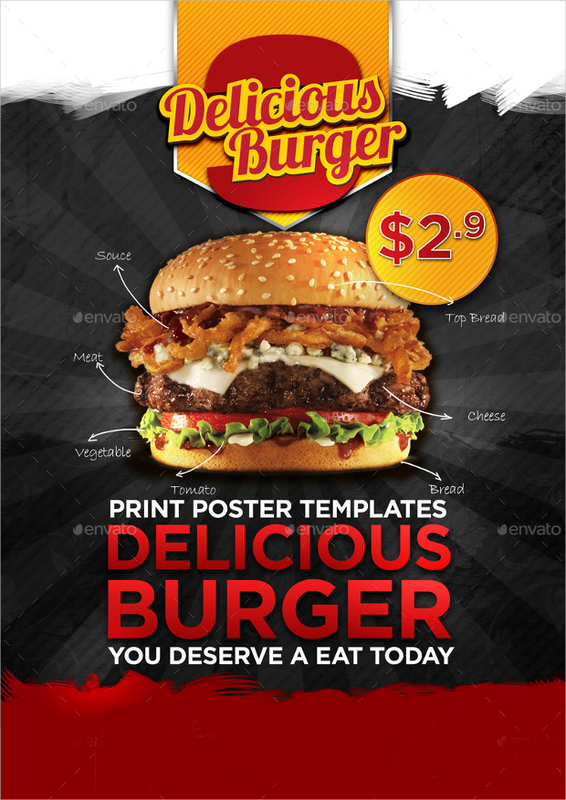 The sight of this flyer design featuring yummy food can be a very professional way for presenting food-related businesses to regular and potential customers. It looks so photorealistic owing to its 300 DPI high resolution quality. Available in layered PSD format, editing and customizing it to your standards is not hard. 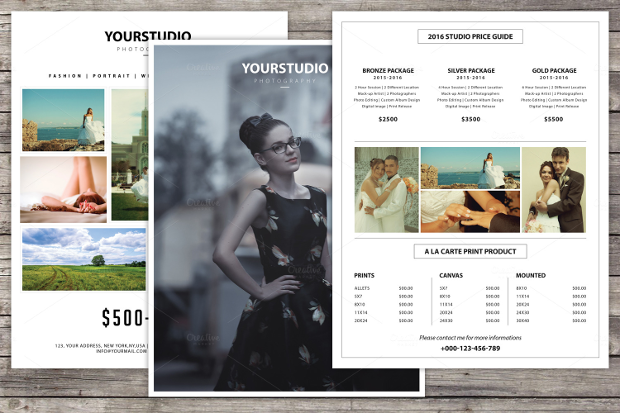 If you run a photo studio or offer some kind of photography related services, then this flyer design will prove to be quite handy to you. It comes with three color schemes to give you varied options from which you can select one that best suits your business. 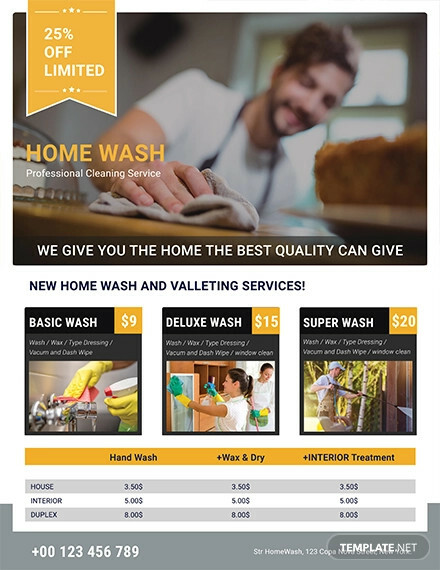 The clean and professional look of this flyer design could be all that your corporate needs to gain the attention of prospective customers. 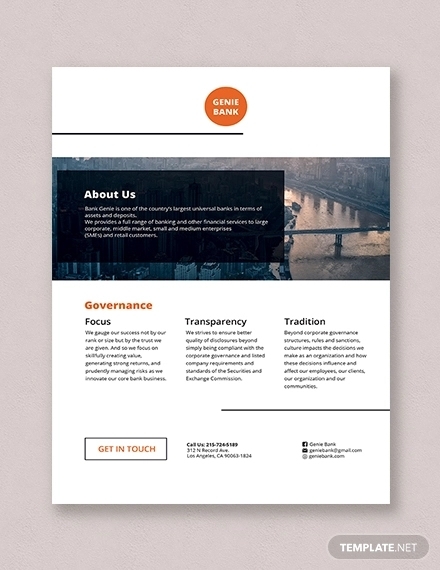 The contrast created by this design’s grayscale and the main color adds to the flyer’s elegance. 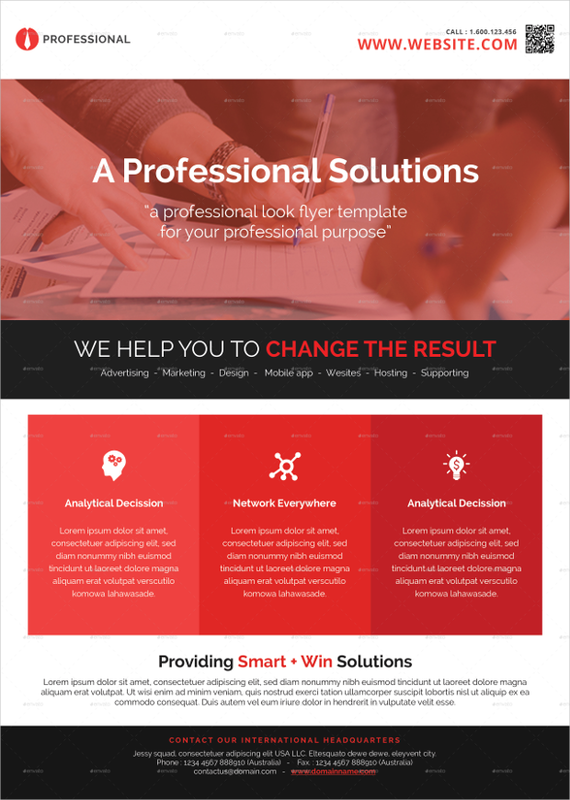 The layered PSD flyer design comes in four varied versions. 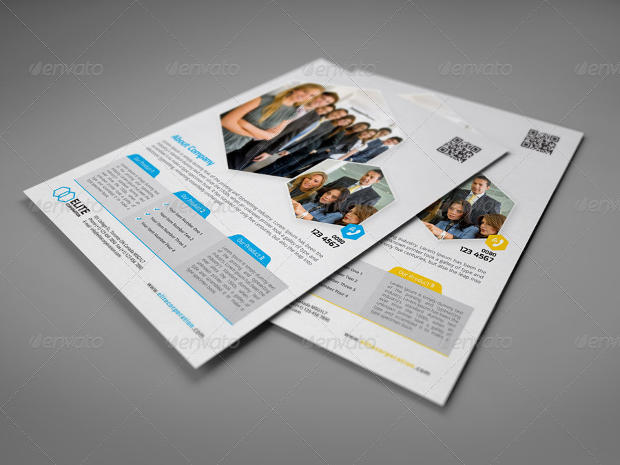 The contemporary look of this flyer design makes it perfect for use in different businesses including photography, which requires a unique, professional presentation. You can edit the elements quite easily with the help of smart objects. 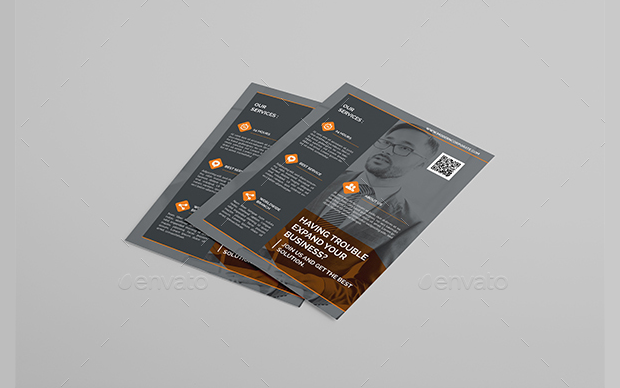 This great template can be downloaded as a layered PSD file. 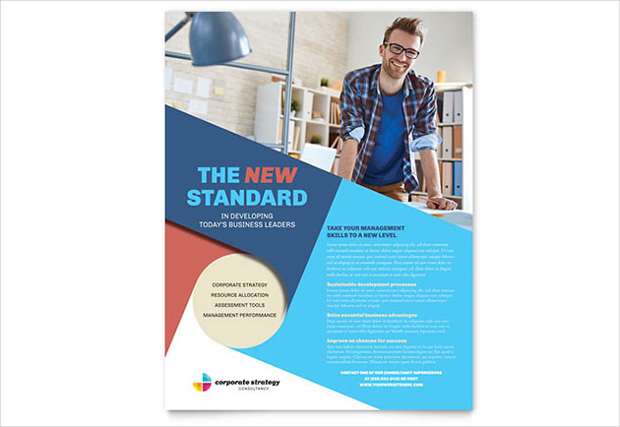 The clean layout and color blending done on this commerce flyer makes the information easily readable and attention-grabbing. 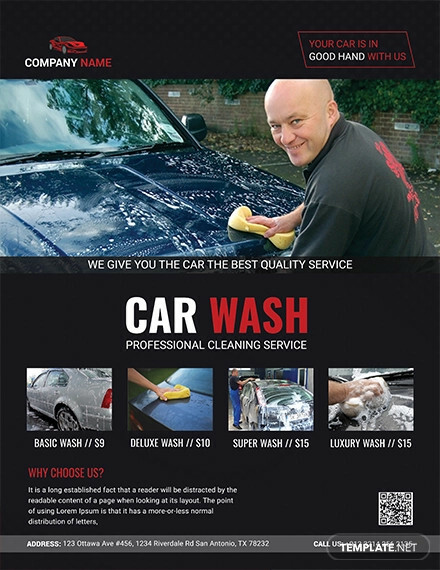 You can use this flyer on virtually any business requiring a professional touch of elegance. 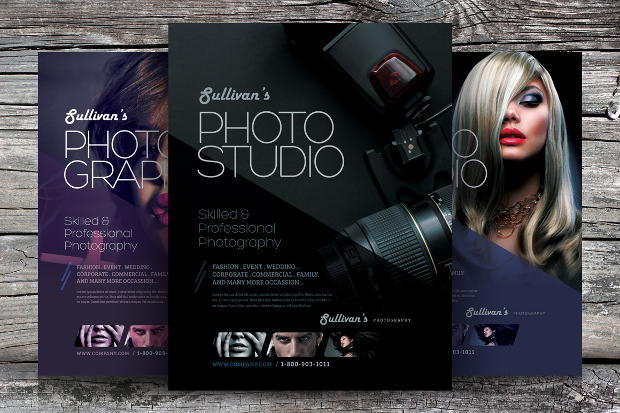 Downloadable as fully layered PSD files, this flyer design comes in four different versions. 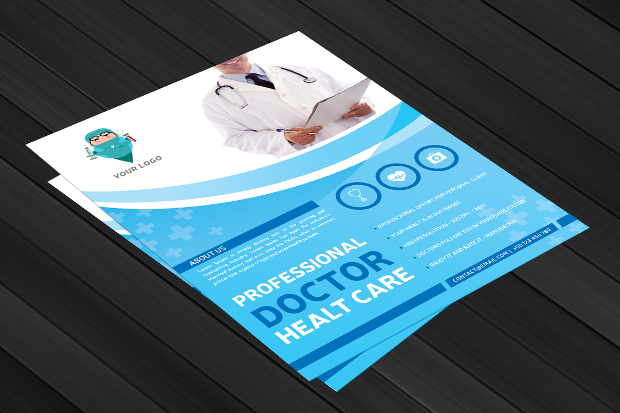 If you are a doctor, a dentist or run a business is in the line of healthcare, you will find this flyer design quite helpful. 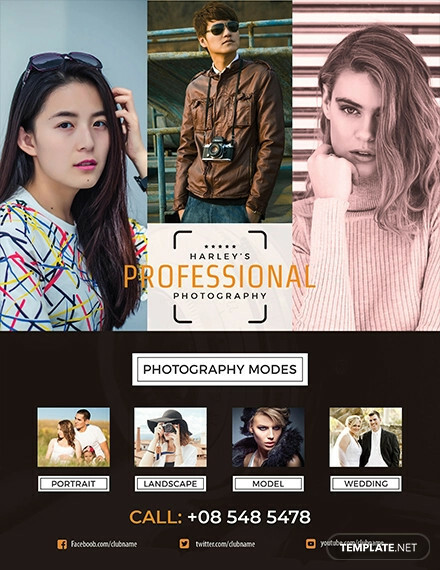 It comes with a clean, eye-catching layout that will help present your services quite professionally. 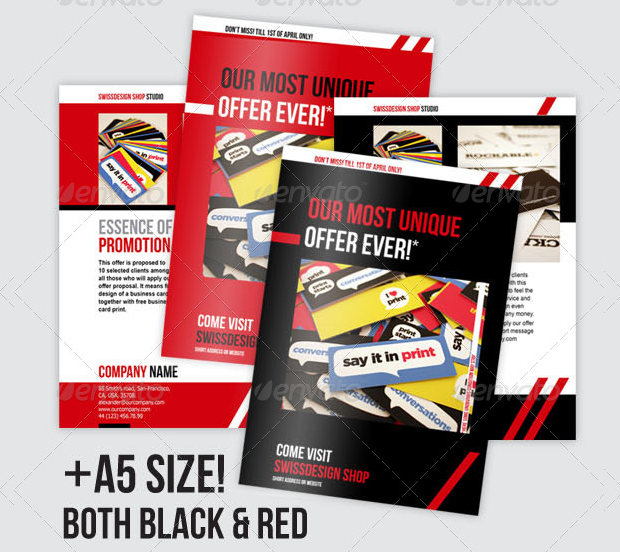 It is available in three color schemes to present you with more options to choose from. 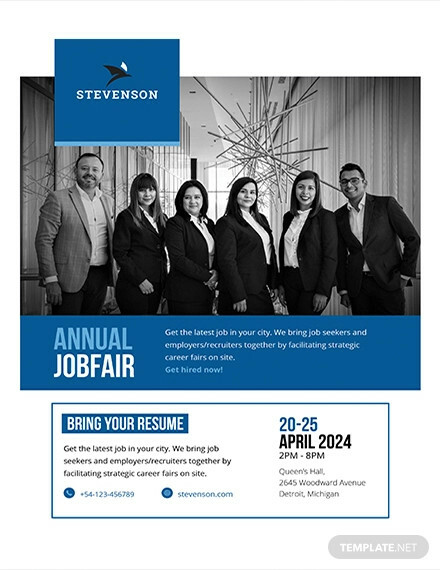 This professional flyer available in A4 size can give you an excellent way of reaching your customers and prospective with the required information in the most professional manner. 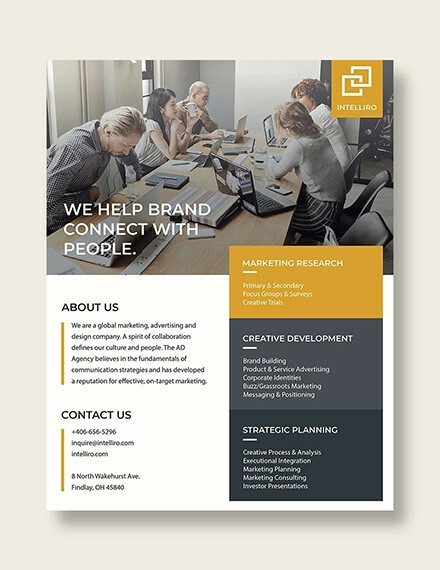 Whether you want to market your company, agency or services, you will find this easily editable PSD template a great help. 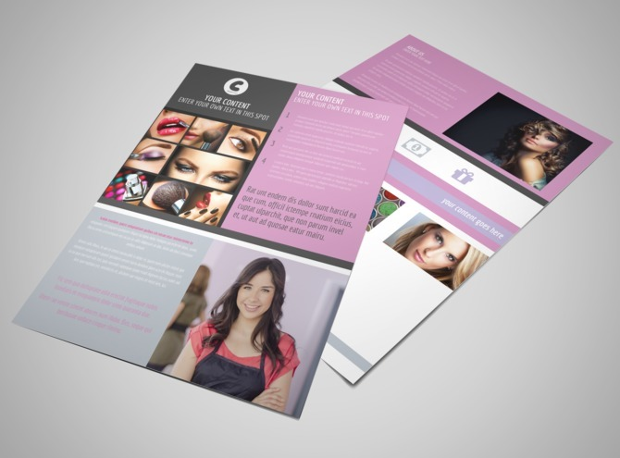 You will definitely like to present your makeup related business in the most professional manner possible. And, perhaps there could be no better way of doing so than with this impressive, flyer design. 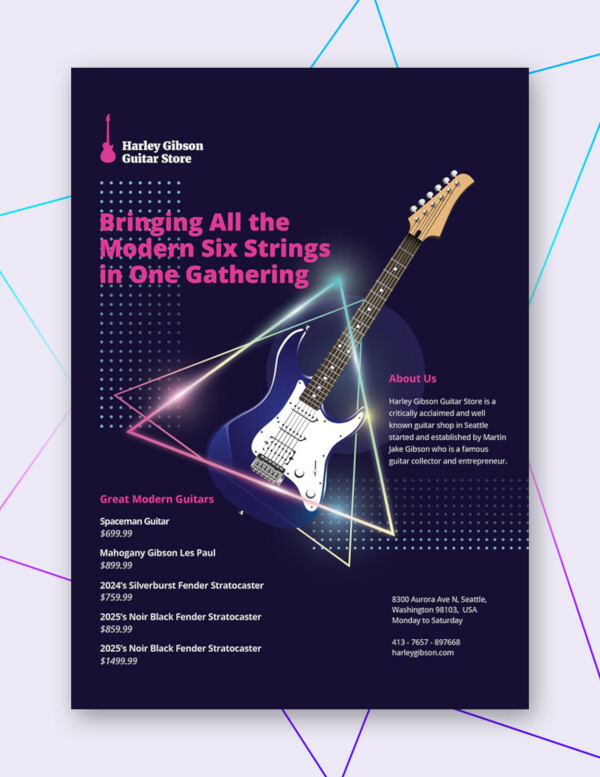 You can edit and customize this amazing flyer template with remarkable ease. 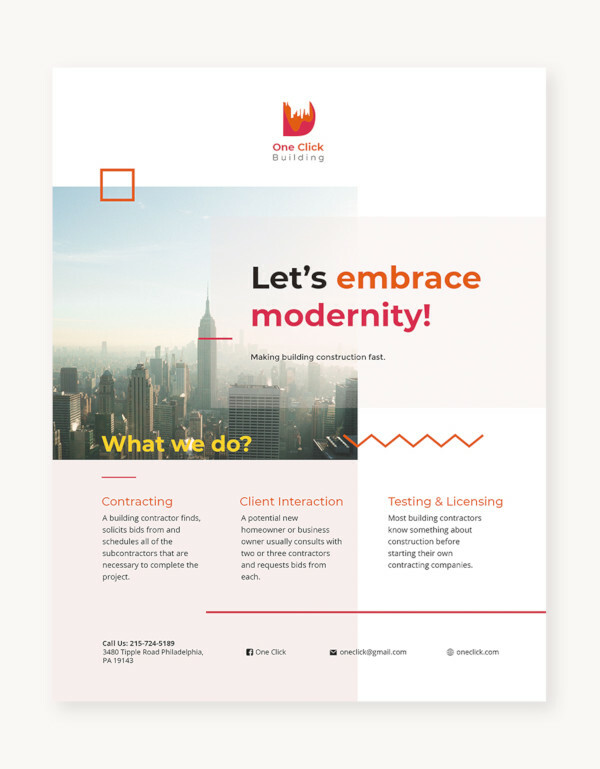 If you have been in search of a flyer design that can give your business marketing a modern touch of professionalism, then this flyer template should be able to bring your search to an end. 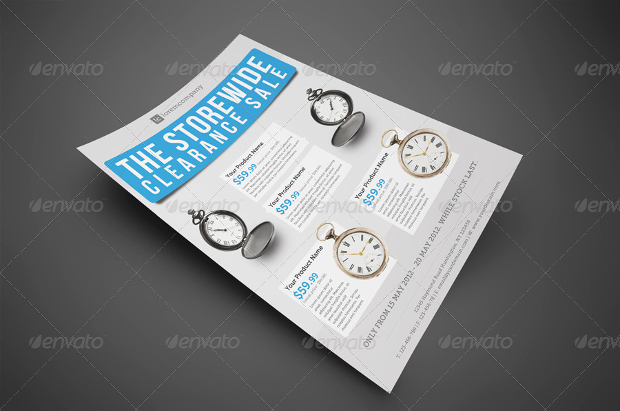 This fully editable vector template is downloadable as InDesign INDD. 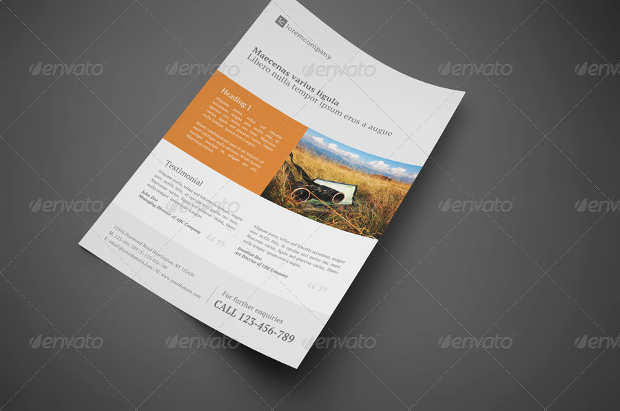 The neat layout and carefully selected color scheme gives this flyer a really professional look. 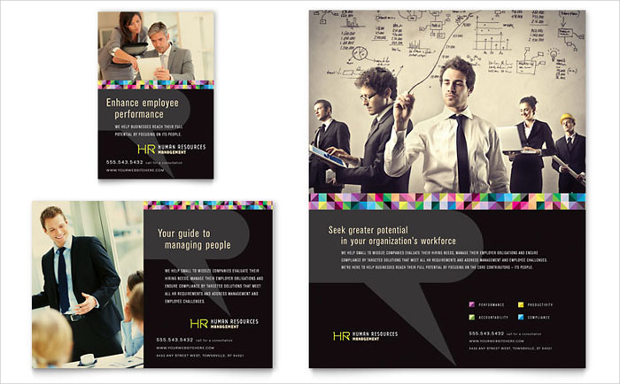 You can’t help but use this three-fold flyer design for presenting your assorted businesses to clients as it will help portray your business professionally. 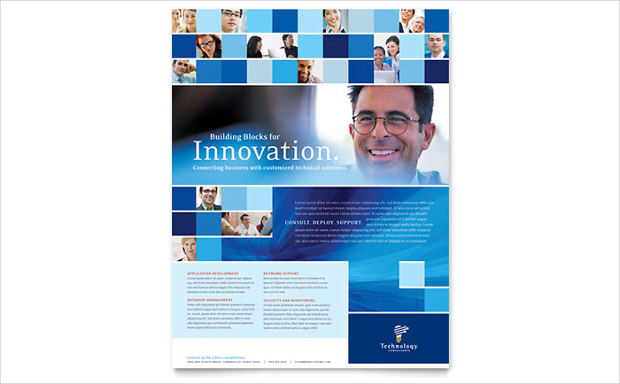 We hope you have found our collection of awesome professional flyer designs quite befitting for your corporate needs. 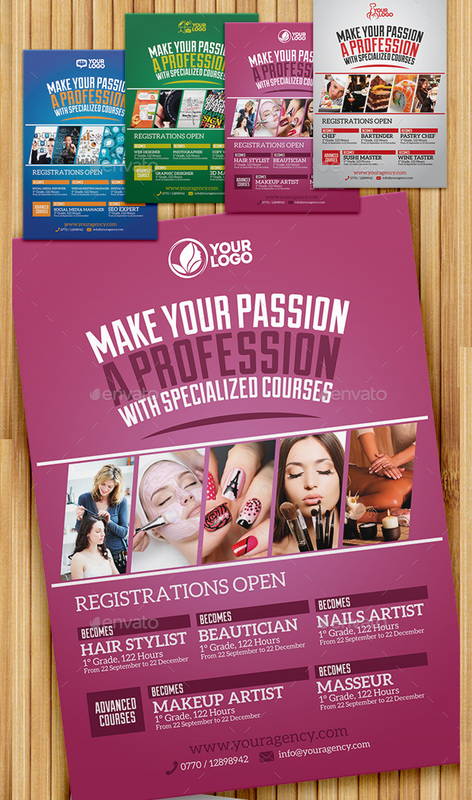 And, all that you need is the right source which can lead you to the right flyer template that you can use to create your own customized professional flyer design.